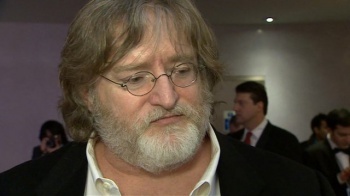 Valve's top dog Gabe Newell addresses concerns fans are having over paid Steam mods. On Friday, Valve announced that it was bringing paid mods to Steam, starting with modder favorite Skyirm, and the response was not entirely positive. Today, Valve boss Gabe Newell himself has taken to reddit to personally address any concerns people have over the system. "On Thursday I was flying back from LA. When I landed, I had 3,500 new messages. Hmmm. Looks like we did something to piss off the Internet," said Newell. First and foremost, Newell stresses that Valve will not force paid mods if it is clearly not something the community at large wants. "Our goal is to make modding better for the authors and gamers. If something doesn't help with that, it will get dumped. Right now I'm more optimistic that this will be a win for authors and gamers, but we are always going to be data driven," he said. He went on to say that he believes Valve and the community's moderation would be effective enough in stopping unscrupulous modders from stealing mods and re-uploading them as paid mods, that "censorship" of people complaining about paid mods on the official Steam forums was an error that will be rectified, and that a kind of "donation" system will be hitting paid mods soon, that modifies the "pay-as-you-like" system so that fans can pay $0, allowing them to donate as much or as little money as they feel the mod is worth. Unfortuantely, Newell was unable to, in the words of NexusMods owner Robin, "put his foot down" on the "'DRMification; of modding, either by Valve or developers using Steam's tools, and prevent the concept of mods ONLY being allowed to be uploaded to Steam Workshop and no where else, like ModDB, Nexus, etc.?" Newell instead replied that Valve would never force a developer to do anything, as it goes against its core philosophy. If this kind of thing interests you, you should just go ahead and read the rest of the AMA, as Newell discusses quite a few concerns fans have.